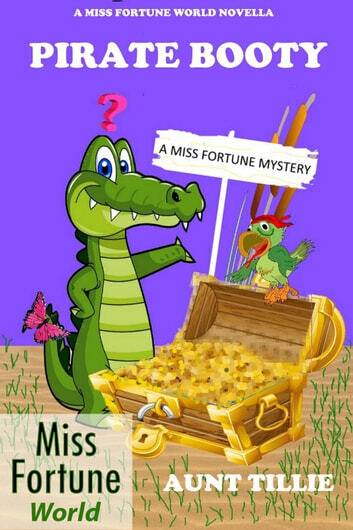 Pirate Booty is Aunt Tillie's second book in the Miss Fortune World, and was originally released in 2017. Ida Belle buys a pirate costume at an estate sale and is soon convinced that the old costume once belonged to notorious pirate Jean Lafitte. 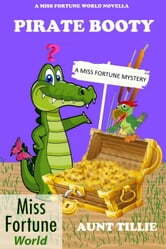 She's also convinced that Lafitte has buried a treasure deep within the woods surrounding the town of Sinful. With clues from some old maps Fortune, Ida Belle and Gertie begin the hunt that could bring them riches beyond their wildest dreams, but could also bring Fortune a long prison sentence. Fortune has a new admirer, and apparently, so does Ida Belle. Pirate Booty is Fan Fiction, written by a fan of Jana DeLeon's Miss Fortune series, and has approval to write within her world. A good little tale, and kept me turning pages. Shows just what the thought of money can do to people. Really enjoying Aunt Tilly's take on these characters.